Be the best amateur surgeon you can be on your favorite Android device. 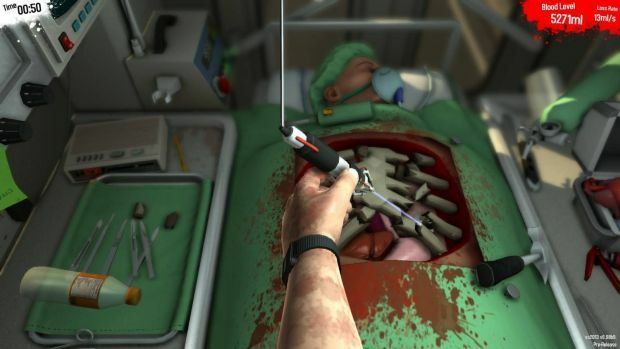 Surgeon Simulator, one of the most hilarious medical titles this side of Trauma Team in its more "dire" moments, is headed for an Android release. Now, you too can perform hilariously awful surgeries on patient Bob, as you stumble and muddle your way through open heart surgery and other "simple" operations. Laugh your way all the way to the OR on August 14, when Surgeon Simulator drops the bass, er, drops on the Google Play Store.